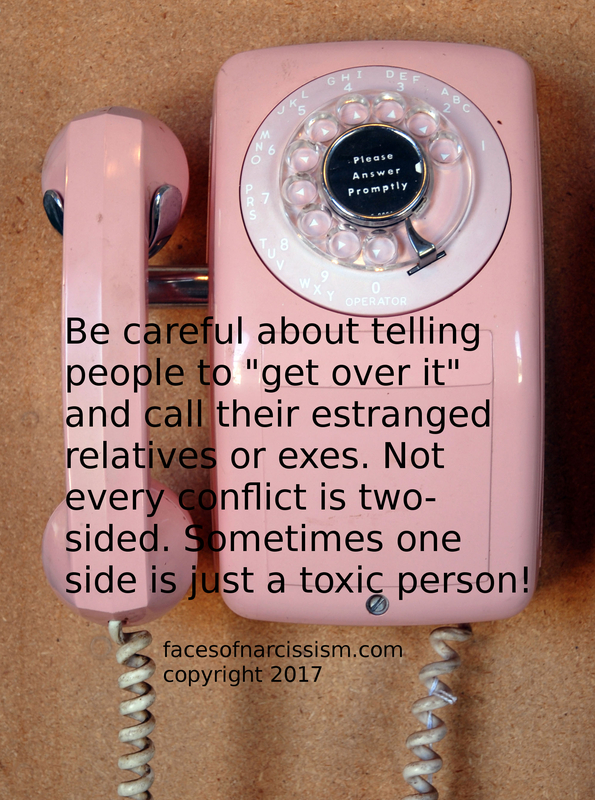 Be careful about telling people to “get over it” and call their estranged relatives or exes. Not every conflict is two-sided. Sometimes one side is just a toxic person!